Lady Amherst Neck Feathers Dyed. 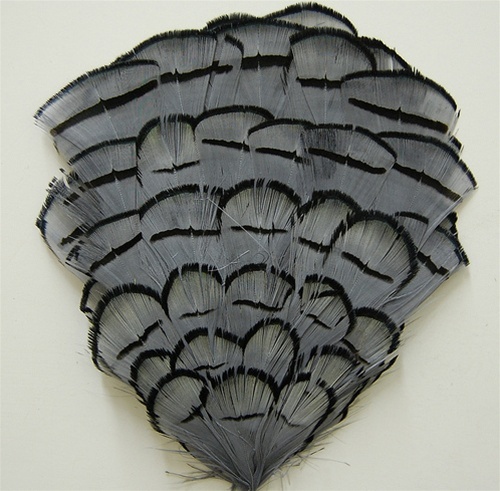 A Beautiful feather pad.Can be used for Millinery, Headbands, Pocketbooks, Shoes and many other applications. Sold by the DOZEN.